Welcome to the Hawthorns Flock of Pedigree Ryeland Sheep. We have been breeding Ryeland Sheep in Cumbria since 1993 (Flock No. 943). We usually have stock for sale and visitors are most welcome. Our aim is to breed good quality stock staying true to breed standards with particular attention to conformation and wool quality. 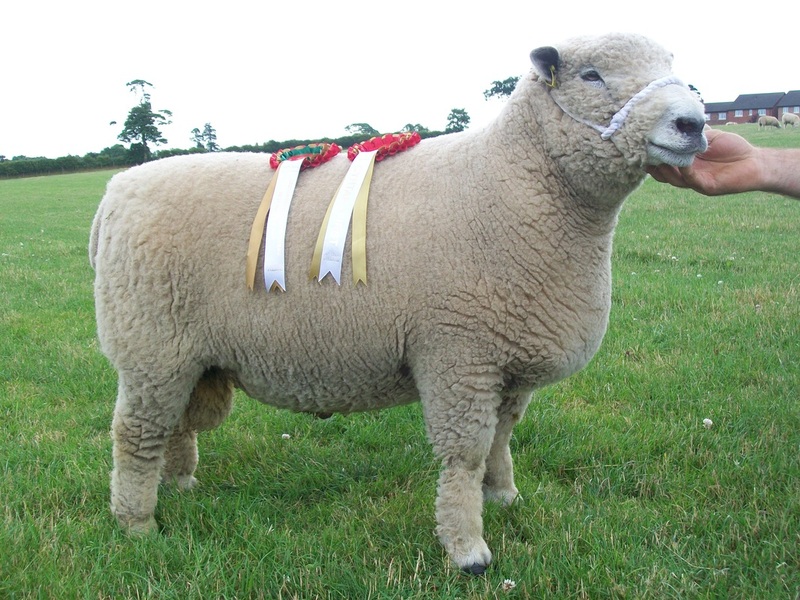 We enjoy exhibiting our sheep and have had many successes in the show ring including championships at the National Ryeland Show held at The Three Counties, Royal Welsh, Royal Welsh Spring Festival, Royal Highland, Gt Yorkshire, Royal Lancashire, Cumberland and Dumfries Shows. Ryeland sheep originated in Herefordshire and are one of the oldest of UK sheep breeds with the earliest references dating back to the 12th Century. The breed was developed near Archenfield, South Herefordshire and was highly prized for its fleece and as the names suggests, was bred on the rye-grass growing land on the welsh border. The wool became so highly valued that it was termed "Lemster Ore". The Ryeland Flock Book Society was founded in 1903. The main aim was to encourage the breeding of Ryelands both in the UK and overseas. During the 20th Century interest in the Ryeland breed dwindled and this caused it to be added to the Rare Breeds Survival Trust's List of Rare Breeds. Lately, the fortunes of the breed have greatly improved and they are now classifed as a minority breed. The modern Ryeland still excels in wool and meat, they are renowned for their docility, ease of handling and are a good choice for smallholders and for those who are starting out with sheep. They will thrive on grass and produce a prime butcher's lamb, their fleece is of top quality and ideal for hand spinning and craft work. Ryelands make very good, milky mothers and the compact, strong feet are noted for their ability to resist footrot. As a terminal sire, the Ryeland is an ideal choice for first time lambers, giving an easy birth to a fast maturing prime lamb.